Battered and bruised in their own backyard, India will be eager to salvage some pride going into the four-match Test series against South Africa starting from 5 November, in Mohali. After guiding India to their first Test series win in Sri Lanka in 22 years, fans will be once again counting on Virat Kohli's leadership to turn the tide against a rampaging South African brigade which is on a roll following their comprehensive T20 and One-Day International (ODI) series win in hostile territory. Though the Test series will be an altogether different ball game, India still have to fix a few a problems they've paid for dearly in the T20 and ODI contests recently. Premier spinner Ravichandran Ashwin's return to the team is undoubtedly a big boost for the hosts, but India's bowling department needs to find its mojo if they intend to trouble the likes of Hashim Amla, Faf du Plessis and Ab de Villiers. Also, if Kohli goes for the five-bowler strategy, India will need to bridge a gap in their batting line-up by playing an all-rounder. 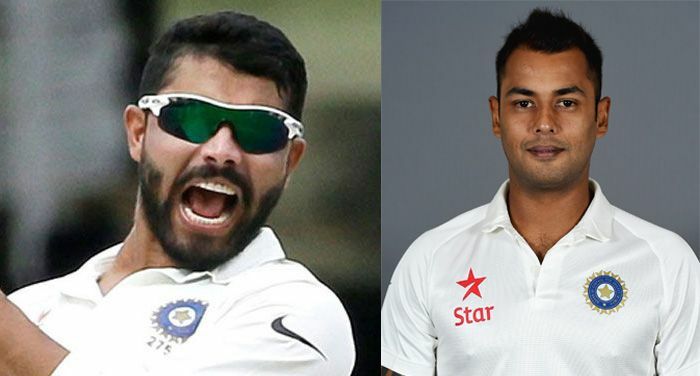 This paves way for an interesting question - is it going to be Ravindra Jadeja or Stuart Binny? Both the players have tried to fix India's conundrum at the No. 7 spot in the past, each without much success. Ravindra Jadeja has been missing in action for Team India since 2014. The left-hander played his last Test against England in Manchester on 7 August 2014, with forgetful figures of 1/36 and a mere four runs in the match. In the 12 Test matches he has played so far, Jadeja has scored 364 runs at an average of under 22. The only half-century he has scored so far came against England in 2014 when he scored 68 runs in the second innings during India's 95-run win. In his 60 first-class games, Jadeja has amassed 3,745 runs at an average of 45.67 including the highest score of 331. He also boasts seven hundreds and 16 fifties in his domestic career so far. 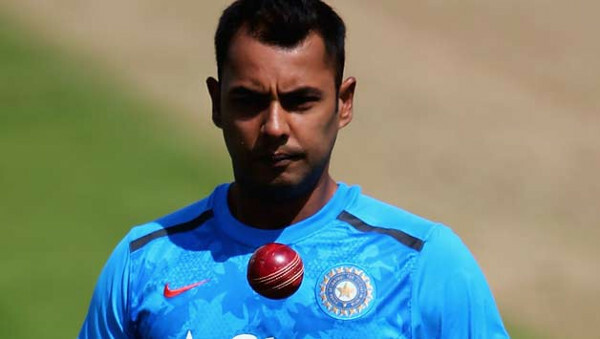 In Jadeja's absence, Stuart Binny has tried to fill in the role of an all-rounder for the Indian team. And just like his predecessor, the right-hander has also failed to make a mark in the role assigned to him. In the five Test matches he has played so far, Binny has managed to score a mere 194 runs at an average of 21.55. His only fifty in the longer version of the game came in his debut match against England in 2014 where he scored 78 runs in the second innings at Nottingham. In first-class cricket, Binny has played 66 matches and scored 3,307 runs at an average of 33.74 alongside eight tons and 14 fifties. Jadeja's ability to score some crucial runs and pick up wickets with his spin bowling did serve India well in the past. But, more than his batting, it was Jadeja's spin bowling that helped him cement his position in the team. The left-arm spinner has taken 45 wickets at an economy of 2.39 in 12 Tests he has played so far. His best bowling figures in a Test match came in 2013 when he took 7/98 against Australia in Delhi. Following an impressive show at home, Jadeja carried his fine form overseas when he scalped six wickets for 154 runs against South Africa in Durban during the 2013 tour. 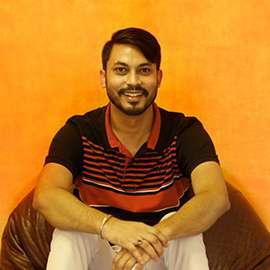 The Saurashtra player was also influential during the England tour in 2014 where he picked nine wickets in the four Tests he played for India. On the other hand, Binny has been far from convincing with the ball for India. In the five Tests he has played so far, the 31-year-old player has taken just three wickets while conceding 257 runs. The three wickets he has taken came only in his last two Tests during the Sri Lankan tour. Prior to that, Binny played three Tests in 2014 against England and went wicket-less for the 32 overs he bowled while conceding 140 runs. The medium-pacer heavily relies on a stump-to-stump line and taking the pace off the ball. However, Binny has not only struggled to get wickets for his team, but has also been a tad too expensive. 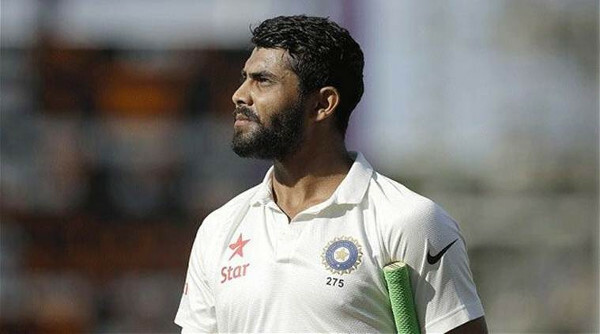 Following his ouster from Team India owing to a series of poor performances, Jadeja has raised a few eyebrows in the domestic circuit this season. Playing for Saurashtra, the left-hander has already scalped 38 wickets in the four matches he has played in the Ranji Trophy this season. His best bowling performance, this season, came against Jharkhand where he picked up 13 wickets while conceding 126 runs at Rajkot. Apart from a rejuvenated performance with the ball, Jadeja also chipped in with the bat, including a 91-run innings against Tripura in the first game of the season. While Jadeja has been turning heads in the domestic season, Binny was given an opportunity to prove his mettle during India's tour of Sri Lanka earlier this year. After India were hammered by the Lankans in the 1st Test, Binny was sent to the island nation to aid the Indians. However, against the popular perception, Binny scored a mere 27 runs alongside figures of 1/44 in the 2nd Test. In the third and final Test, the right-hander was dismissed for a golden duck in the first innings. His only notable performance came in the second innings when he scored a crucial 49 runs for his team. In the bowling department, Binny managed to pick just two wickets in the first innings and went wicket-less in the second.